Until recently the Lesser Grey Shrike Lanius minor range covered most parts of Europe, the Middle East south of west Siberia to central Asia. The European population has declined in numbers and its range has contracted in recent years. Vaurie treated the eastern populations as a different subspecies Lanius minor turanicus inhabiting the Caucuses, Iran, Afghanistan, Central Asia and west Siberia. This subspecies apparently had a paler colouration for juveniles and first winter birds with a characteristic warm sandy hue with adults showing a warm tinge to the underparts and reduced black on the forehead and a slightly larger size. 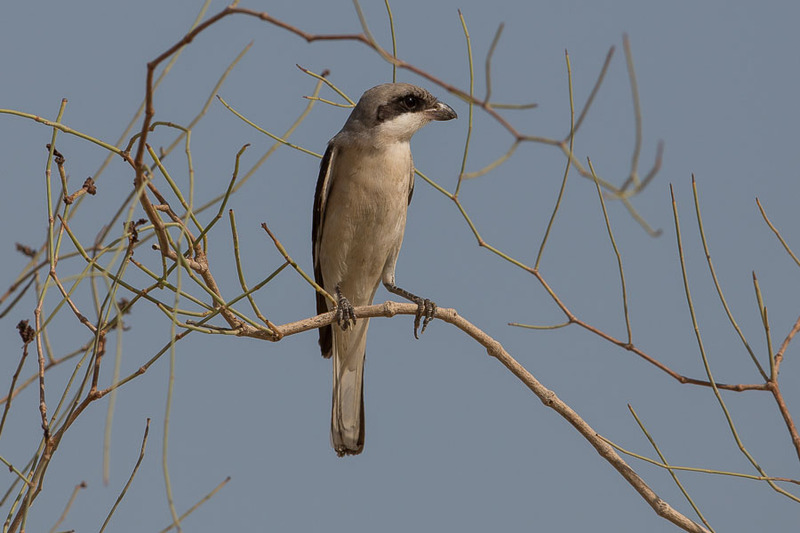 Lesser Grey Shrike migration of eastern populations occurs through Iran and the Arabian Peninsula to their wintering areas in Africa, with adult birds leaving Kazakhstan in early August and by the end of the month only first year birds remain in this region. Subspecific identification in the field is difficult and the birds in Eastern Saudi Arabia may be either L. m. minor or L. m. turanicus if it is a valid subspecies. 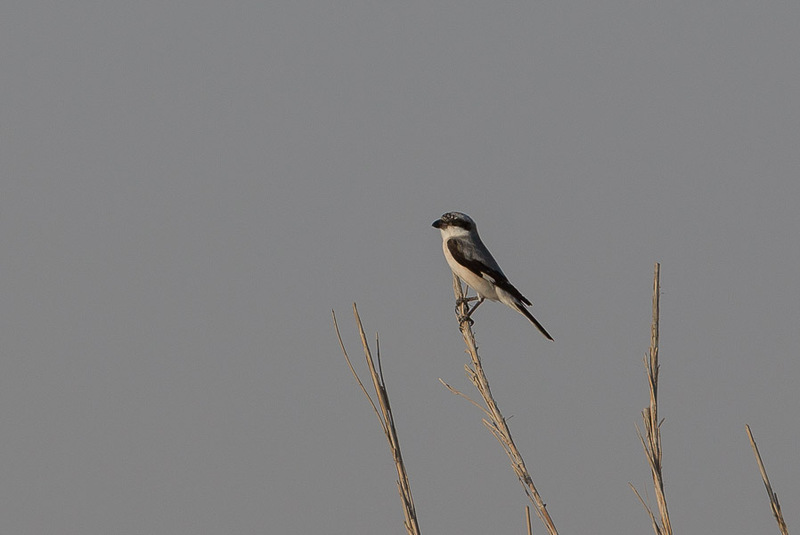 A good ‘fall’ of Lesser Grey Shrikes occurred at Sabkhat Al Fasl 24 August 2013 with a minimum of ten birds seen scattered around the whole site. This is easily the largest number of birds of this species I have seen in Saudi Arabia in a single day but is a typical date for locating them as autumn migration through the Eastern Province of Saudi Arabia occurs quite early stretching from mid-August to mid-September but occasionally into October. Autumn migration is less regular than spring migration when birds are normally seen from late April until June. In some autumns no birds are recorded at all and it is thought that most birds overfly the coastal zone during this period.